One of the latest examples for third kind of signal was Storm. 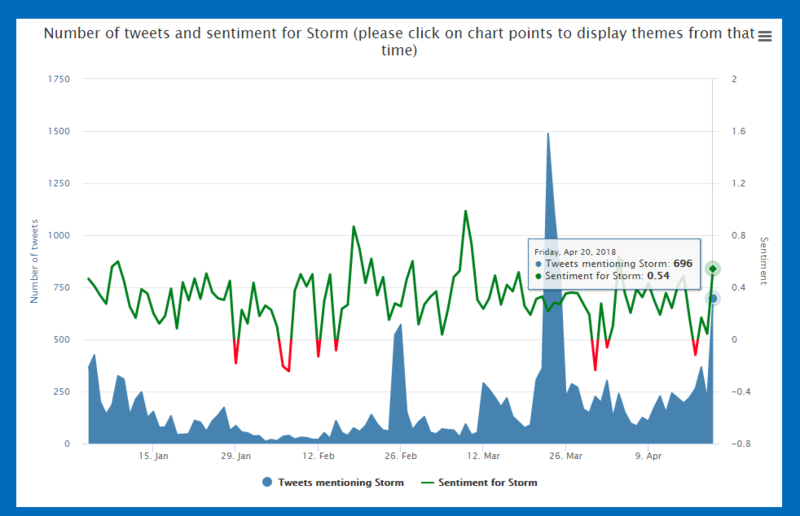 It had a surge in sentiment on 20th April, see chart below. The price was around 0.047 USD at the time. 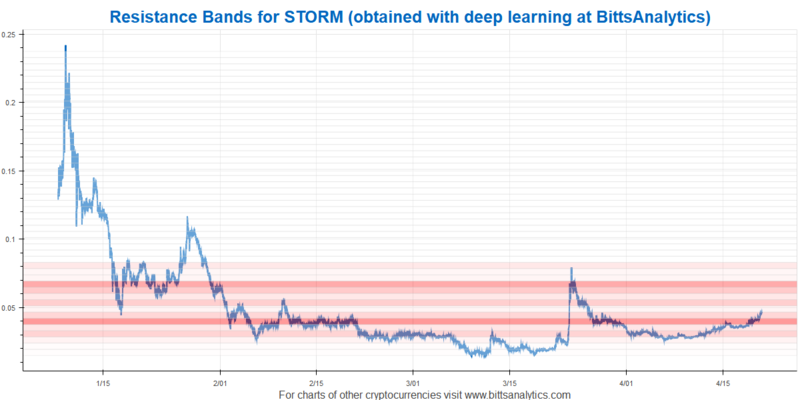 Another important factor was also that the BittsBands were weaker from 0.04 USD up so one could expect a fast move up (for explanation of BittsBands see our blog post: http://www.bittsanalytics.com/blog/2018/04/19/our-deep-learned-bittsbands-has-proven-excellent-for-trading-in-recent-bitcoin-price-developments). This is has indeed what happened as we got a rally from 0.047 USD to 0.058 USD for a return of 20% in a couple of days. If you want to use social media analytics and other data like this as an additional source of information to improve your cryptocurrency trading, you can get it at our platform www.bittsanalytics.com.